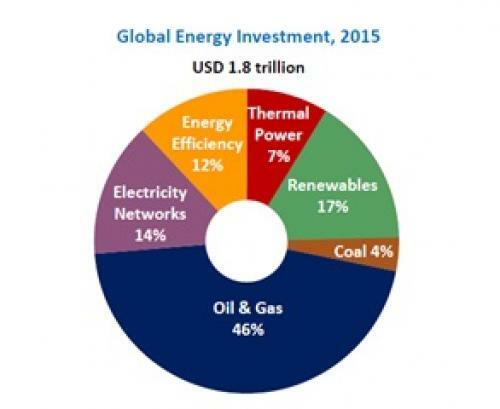 Investments in the energy sector decreased by eight per cent from US $2 trillion in 2014 to US $1.8 trillion in 2015, according to the World Energy Investment 2016 report released by the International Energy Agency (IEA) this week. The drop in total investments is primarily due to falling investments in global oil and gas production, especially in the US. 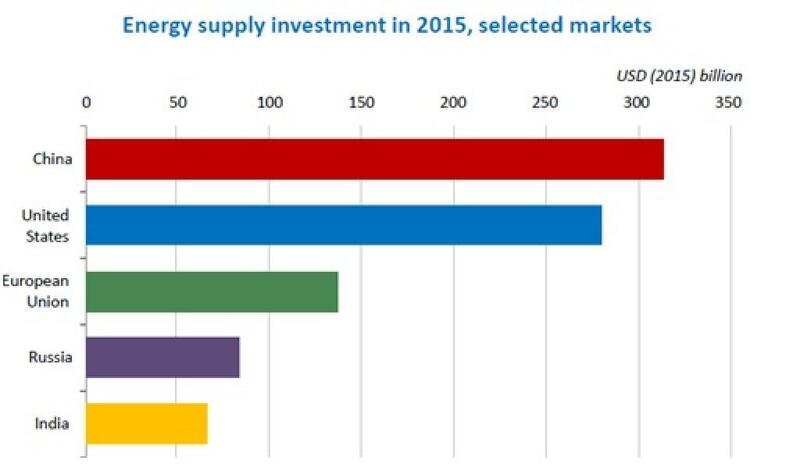 As a result, the US, with an investment of $280 billion, has slipped to the second position below China which saw a total investment of $315 billion in the energy sector. The European Union, Russia and India are the remaining countries in the top five. 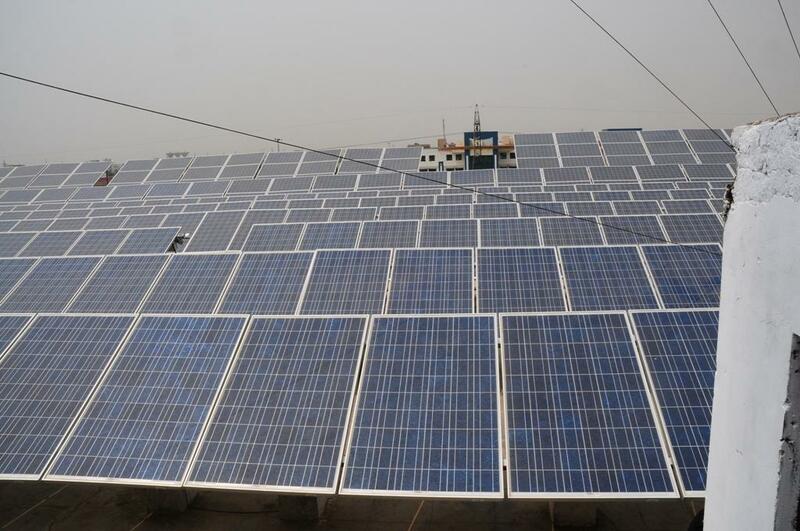 Though investments in renewable energy have remained more or less stagnant between 2011 and 2015, they accounted for the largest source of investment in power at 17 per cent or $313 billion in 2015. Electricity generated from the new renewable energy capacity increased by almost a third, which was reflected by the declining costs of wind turbines and solar photovoltaics. The good news is that the investment in the power generation capacity from renewable energy in 2015 generates more than enough electricity to cover the increase in global demand for electricity. 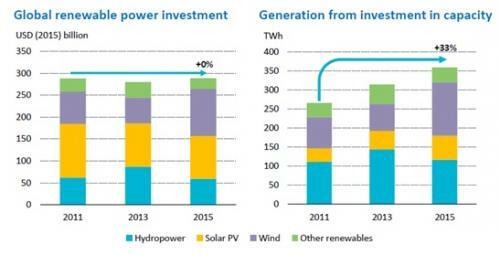 Investment in smart grids and battery storage also increased in 2015. Grid-scale battery storage spending has increased 10 times since 2010, which could enable the integration of larger shares of electricity generated from wind and solar. The integration depends on cheaper storage and availability of smart grids.